Player shoots from the face off dot. Regardless of where the rebound actually goes, the goalie will play as if the rebound went to the other player. 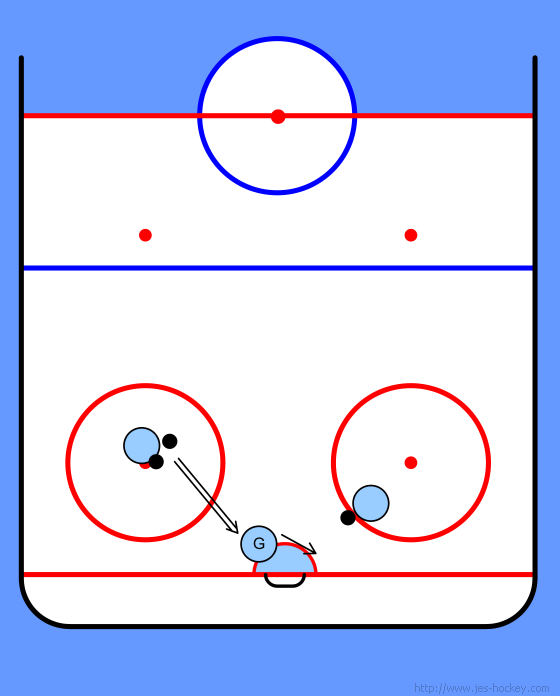 The other player (or coach) will shoot the puck quickly after the goalie makes the initial save. The timing of the rebound shot should be such that the goalie has to make a good, fast move in order to save it. Try to time it as if it was bouncing of the goalie's pad first.